David Chiarelli - Latest Edition! : And A Happy New Year! 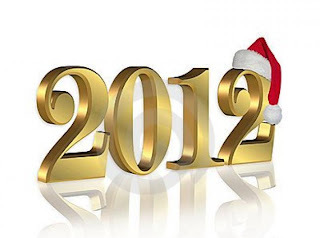 It's hard to believe this is the last day of 2011! Time flies, that's for sure. It seems my life used to drag on and on for years. My 20's were a write off. I mean I had a great time kicking around and all, then belatedly going to university, but I wasn't going anywhere in a hurry. My 30's and 40's were the years when I struggled getting where I wanted to go with my career, raising family, paying off the mortgage, putting in my time. Since I've turned 50 I think I feel the most relaxed, and comfortable. I've pretty much paid my dues so it's not so much a struggle anymore. I know myself very well. For better or worse, I suspect the former, I don't suffer fools gladly and am not into putting up with a whole lot of guff anymore. The clock is ticking, I know I won't last forever, I can definitely sense my own mortality unlike when I was a lot younger. Maybe it's because my family and friends are growing older too, but thank God I sill have my health. Nowadays there's lots of things I still want to do, as opposed to things I have to do, so I'm pretty upbeat. I swear if I could retire tomorrow and live to be a hundred I don't think I'd ever be bored. There's still just so much I want to dedicate my time to and experience. Anyway, I`m ending the year on a very good upbeat mood. Christmas was pretty low key for Janet and I. We just relaxed at home. We did an early Christmas with my mom and sister up in Sudbury around the beginning of December. I wrote about that. Christmas day we went to Janet's brothers home for Christmas with my in-laws. Then there was the annual huge Fujiwara family gathering, this year at the Imperial Banquet Hall out in Scarborough. Other than that though, we lounged around the condo, went shopping and on outings. Had friends over and so on. No school. No union work. Janet has been off for the last week or so too, so it was a very nice, loving respite, a little breather, just us doing our own thing. I haven't written much lately, plenty of time for that in the year ahead. What did I enjoy best about Christmas this year? Well I collect music, and I added plenty to my collection what with the sales. Got some good school clothes too. Janet and I each bought each other a carry on luggage bag for our trips. Nothing much. That's all materials stuff though. Spiritually Christmas is always uplifting. We avoided a lot of the commercialism and hoopla, which was a real blessing. The big Christmas productions are for the kids. Our two sons and all the nephews and nieces have pretty much grown up now and are either in university, starting up jobs and marriages etc. etc. etc. Not lots of babies yet, neither of us are grandparents anyway. What I liked best was just the two of us sleeping in, lieing around in bed, or cuddled up on the couch, talking, relaxing, reading, watching t.v. movies and so on. With outings pretty much as they strike our fancy. Yup. Today we have a few errands to run. Will pick up some Chinese food and come home to relax, just the two of us. No big deal but it's a big two thumbs up! A well earned rest. I wish all my readers a very happy New Year, and many blessings in all your trials and tribulations during the year ahead. I really appreciate all of your reader visits, comments and insights, mostly just as I go about doing my everyday school and union thing here in Toronto. A special best wish must also go out to all my foreign readers. I`m glad you visit here a lot too. I will post some of my cellphone pictures from the holidays. Just some impromptu snapshots of our life in the big city at Christmas. I've got some interesting blogs still on the back burner. I think I've mentioned them or given you a hint before. So please do drop by and keep checking me out. I've got one more week of holidays. I most likely will post another blog or so. Then it's back to work with everything in full stride for the Winter Edition of my blogsite. Here`s to another great blog year ahead!